Quality content, regardless the medium, should be celebrated. Too often, hard work is overlooked for no other reason than the information overload that the internet provides. That’s where FW’s Video Spotlight comes in. Every Thursday, we’ll post a “video of the week” that was produced by the intrepid capsuleers plowing the space lanes of New Eden. See an awesome propaganda video? A crazy recap of fleet action? A tutorial for those just breaking in to factional warfare? Something else EVE-related? Send it our way to staff@factionwarfare.com. Today’s spotlight is a little bit late due to the holidays. I’ve posted up a video for running missions in Faction Warfare. Over the years, I’ve had to show people numerous times how to earn money after they scoff at me saying they can easily earn 100-200 million isk an hour in a bomber with a low SP character. All that training made me decide that it was finally time to do a video, showing how to get missions, optimizing routes, running them etc. I’m on the Caldari side, so this is largely biased to running missions for that faction, but the general concepts remain the same. If you have information or builds regarding the other races, please comment below and I will work to keep this thread updated with relevant information for all sides. Hooray! I’m glad you’re back. I’ll be watching this video later as I want to know about doing FW missions as an alternative to plexing for loyalty points. So, can I ask a dumb question that you may have answered in the video? I read in a FW missions guide that the location you end up in is visible to everyone in that system. Does that mean it shows up as a cosmic anomaly, or a beacon (surely not?! ), or did they mean you can be scanned probe scanners, as is usual. The guide seemed to imply your presence was highlighted in some way. BTW the formatting of the front page could be better. The popup window thing gets annoying pretty quickly and on many of the items the opening paragraph is identical, which doesn’t entice me to read them. The mission you are in shows up as a beacon, just like actual plexes in the system, making it quite dangerous to run them. That’s why I focus on using a bomber and not something else that could technically run them quicker, like an Ishtar or something. Bombers can get to the mission system safely, and then in and out relatively quickly for low risk. In fact, the first bomber I have ever lost running missions was lost while trying to record video for this guide. That was about the time I decided I wasn’t going to explain things in real time and I’d do the voice afterwards. I’ve watched the video (couldn’t wait, it turns out!) and I didn’t know about the multi-waypoint “Optimize Route” feature; that’s very handy. Since missions can be rejected, I assume there’s no standings penalty for doing so? You can only reject one every 4 hours per agent. Any more than that and you will receive a heavy standings loss. That’s the entire reason why I haven’t hit the General rank yet despite years of faction warfare. I’ll also take the feedback on the site into consideration. I have some ideas for how to clean things up but I haven’t gotten around to it yet. One last question: external resources. Can you explain how to find out where each type of station is? You mentioned the huge price difference between State Protectorate and the other type…where do we look to find the correct stations? Also you mentioned some missions are worth taking and some not: where do we find this list? The missions worth taking is determined by what the mission actually is. That is a matter of preference, so just accept depending on what the mission goal is. As for the type of station, you can find Caldari Navy and such stations the same way I showed how to find State Protectorate. Using the agent finder you sort by faction then corporation. Nice video! This looks like a good way to make isk, one question though, how do you get the initial standings to be able to accept level 4 missions? There are many ways, but the easiest are running lower level missions (I don’t recommend this at level 1 and 2 though) and running plexes. Since none of the factions are above tier 2 right now, would you recommend we run plexes to start out? Yeah, running plexes will get you up to level 4 quite quickly. It’s really preference though. It goes up and down. Right now I am pretty broke as my time to play EVE is quite low and I’m having to pay for 7 different accounts. However, despite how busy life is I don’t find it very hard to pay for my accounts with PLEX with just a few hours on the weekends running missions. Nice video mate! I am planning to join FW on the Amarr side and I was wondering about missioning to pay for my pvp and plex. You mentioned that you would post fitting suggestions by request, so could you help me here to fit a bomber against Minmatar missions? I can fly either the purifier or the hound. No torps t2 yet… but I got the point about using javelin – on training now. Talking with some people from the Amarr side, apparently the target painters aren’t as bad as I thought, so you can in fact run them with an afterburner and faction missiles. I’ll see if I can’t get some fits for running missions posted up here asap. Thank you! I’ll be waiting for the fitting suggestion! Just a side question: once on the Amarr side, can I run missions for the State Protectorate as well? No, you can to my knowledge run Caldari plexes, but you cannot run our missions. Fit a hound something like this. IIRC I use a slight variation. I use meta 4 shield extender, T2 launchers and a T2 rigor rig instead of the calefaction. Thank you very much! The meta 4 MSE is due to the CPU requirements for t2 torps? Hi i run LVL 4 FW mission’s for caldari and i cant do the mission were u kill the stargate i keep getting nuted by some ninja BS any tips ? The neuts can be a slight issue on that mission. Either run it with T2 Javelins and make an effort to stay far outside of it’s range, or use faction missiles for extra DPS and try to burn it down before you get neuted out. The support skills for missiles are important there, such as the rate of fire one, for increasing your DPS to make it go faster. I hate that mission. If I feel lucky I refuse it and roll another. If I have to do it, I usually stay cloaked and travel to the other side of the gate, far away from the enemy rats, and bomb it from there. If you don’t want to take the time to do that, stay out of neut range. On roidest rage you only need to do the left 4 industrials, not all 7. Oh really? Interesting, I had no idea. Thanks! I’d be curious to see what this is. I haven’t run a 10mn fit before. 1) A couple of times you mentioned the low risk. Almost everytime I travel from HS to LS (and back), the gates are camped. I have extreme problems with fast lockers…how do you get past in your Manticore without getting popped? 2) How many torpedoes do you carry on a typical 8 mission run? Thanks for posting such a great guide! I generally carry 1000 with me, that’s more than enough in most cases. As for the gate camps, never had an issue with it. Just have to get the timing down, you hit warp towards the next target then hit cloak. If you time it right they won’t have time to lock you. The big thing to watch out for is warping off too quickly. Cloaking has a reuse timer, so if you jump through a gate from a system that had a short warp time, you may find that you hit warp upon landing on the other side and you aren’t allowed to do so for several seconds. That will really mess up your day. i whant run misions in minmatar militia, can you link fit for it? Plexes are a good place to start. I would plex up to the point you can run level 3 missions then go from there, perhaps a mix of level 3’s and plexes. With you guys currently in tier 4 the payout from plexes is really really high though, so that might be the best method, just grind those out all the way to 4. Is the SB still the best ship to run L3’s in? Stealth Bombers can still run level 3 missions pretty easily. There are probably better options for clearing them out but they won’t be able to get to and from the missions as safely. Taking advantage of the T4 payout for plexes is a good idea, but I recommend just doing missions to get your standing up for Level 4s. You get mad standings increases from the missions. You can be doing LVL 4’s in a couple days, starting from 1. Great work. Very professional tutorial. There were no mistakes or slip ups or apologizing. It was straight to the point with a clear voice. Glad you liked it. That’s exactly what I’m going for with these videos. Clear, concise and to the point. Takes a hell of a lot of re-recording to get it perfect though. I actually didn’t know about the lack of penalty for them timing out myself until a few days ago. I’m going to eventually do a write up to go with the video that will cover more information in the same format as the video. Thanks for the tips I will definitely make sure to include that information. Your tutorial inspired me to finish training my torpedo skill up to lvl 5 (17 days left)! One question, is buying faction ships the best way to spend your lp’s when making isk? The market fluctuates, so you can earn more LP potentially for other things at times, like data cores. However, ships are the fastest and easiest way to cash out, as there is always a high demand for them. Even selling to buy orders turns a very high profit. If you take a fleet of ships to do FW missions together, does the LP payout get split between them? Or does the entire amount go to the person who requested the mission? That’s up to the players at time of turn in. When you are in a fleet and turn a mission in it asks if you would like to share the rewards or keep them for yourself. Additionally, I’m not sure if this is specific to faction warfare missions or not, but all fleet members need to be docked up in the same State Protectorate station (or whichever militia) when the missions are turned in to receive credit. Are you running them with an AB or MWD fit Purifier? I am having the same trouble as above for l4’s… I was told to do these in a hound. sig radius is 39.. Missions are extremely unbalanced. This guide was written from the Caldari perspective which really doesn’t apply to Gallente or Amarr. Gallente and Amarr cannot really run missions solo in a bomber. Minmatar and Caldari have easy mode missions. For Gallente, we need to mission in a Domi, Ishtar, or a T3 cruiser to avoid be perma-jammed or nuked by missile spam. I’m not sure what you need to run Amarr missions since you don’t get jammed like Gallente, but get the joy of missile spam + painters. Those missiles can only move so far. I’ve talked to multiple people on the Amarr side that have said it’s not a problem running the missions in something with a MWD that’s kiting outside the range of the NPC’s. As for Gallente, they definitely have it the hardest. It *can* be done in a bomber, but it’s not time effective, and it’s easy for things to go wrong quickly and result in a lost bomber. Hi, great guide! What fit would you recommend for a hound sb? Glad to hear it helped. There is a bunch of additional information I’ve learned since creating this video that I eventually need to get added on to the page. I have some new writers coming on board so that should free up my schedule to work on the guide videos again. so no fits in the end ? I honestly haven’t had time. I’ve made a couple promises of timelines but I’ll stop at this point. However, now that there are some writers on board with the site, a lot of work has been offloaded from me for keeping things running. All I can promise right now is “soon”. I have fits I could post now but I haven’t tested them myself so I don’t want to give poor advice. This is a great guide thanks for taking the time to make it. You just convinced me to try Faction Warfare. Awesome guide! Thanks. Last night I was destroyed in my bomber running Gallente L4’s by a tackling NPC frigate that I was unable to kill in time before dying to incoming NPC damage. I was under the impression that tackle NPCs weren’t present in L4 missions. Did CCP change this recently? Regardless, how have you dealt with this issue? That’s actually something new to me. I have not had an issue with tackling frigates in the missions before. Either I’ve been really lucky or this is something new. Pretty sure tackle frigs in Lvl 4 is a new thing. I lost a Cynabal last week to one, and I was extremely surprised by the whole deal. I guess CCP need to stop people making plea for free! 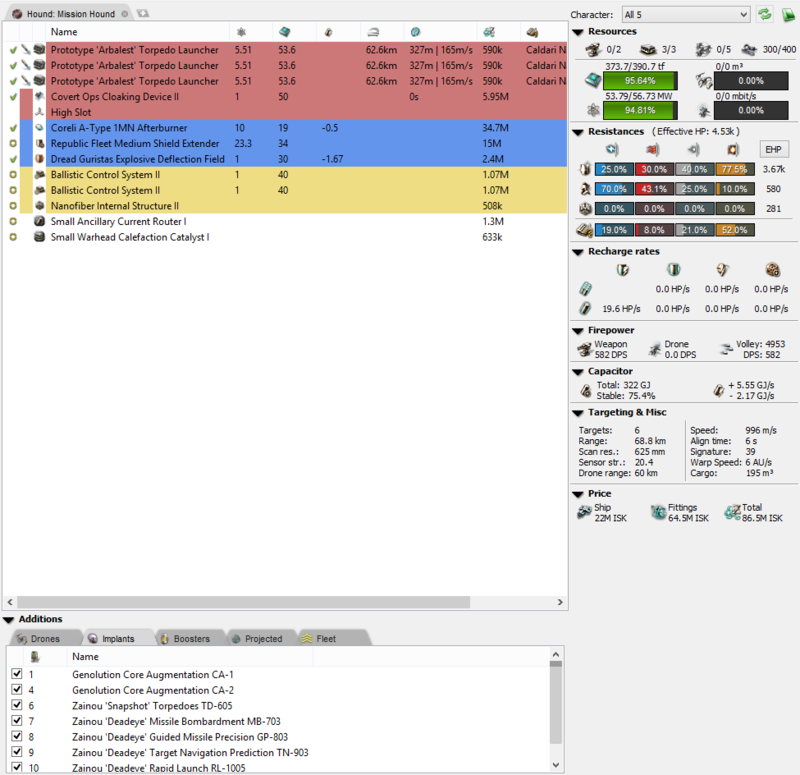 If you have multiple accounts that can use stealth bombers, then i use ISboxer (ccp has many times stated this is ok), and run 4 clients in the same bomber. every mission is completed within 1-2 minutes. You do realise using ISboxer is currently a bannable offence right? You can only manually multibox, anything that copies your input to multiple instances of the game is banned. I would recommend getting your facts straight before recommending the use of a bannable program. Incorrect. ISBoxer is not a bannable offense. In January they are changing some of the rules regarding it, stating that multiplexing input is not allowed, but ISBoxer itself will still be perfectly fine to use. If you are multiboxing 4 bombers for example, pressing f1 once to fire with all 4 is not okay, but if you configure it to round robin commands, so you press f1 4 times and it sends it to each client individually as you press is fine. You can also fly the mission in a T3. I have done them with a Tengu, but I guess a Legion will also work. Since you have a long way to travel through low sec I strongly recommend using a cloak to avoid gatecamps. Forgot cloak, but thats pretty obvious…. Ive been out of the game for quite some time. Can someone tell me how hard is it to pull of a caldari lvl 4 with the new webbing frigates? Are they avoidable/destroyable? hi, new to eve. can you still make 200 mil per hour in fw?